Do you want a brand new handset or can you use a second-hand device? Some people decide to give their old mobile phone to their children. This is fairly easy as long as you own your old mobile phone – you’ll just need to unlock it and then remove all of your personal data from it. 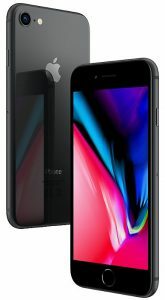 If buying new, how do you want to pay for the phone? Typically, we’d recommend buying a SIM-free handset for your children. This is beneficial as it means you won’t need to take out a new mobile phone contract with everything that entails (including a credit check, a 24-month commitment, uncertainty about extra charges and how much your kids will spend each month, etc). What’s the budget for your new mobile phone? Nowadays, a mobile phone can range in price all the way from £20 up to more than £1,000. It’s worth setting a sensible budget before you even start looking at different handsets. In our opinion, it’s possible to get a very good mid-range smartphone for under £200 so this can be a sensible starting point for your search. What features and specifications do you want from the phone? It might be important to think about things like durability (e.g. in case the phone is or dropped) and the size of the device alongside the normal things like battery life, camera quality, etc. If you’re buying a new device, the Moto G family of handsets is worth a look in our opinion. You can buy an unlocked Moto G6 for under £200 with a 5.7-inch screen, dual-camera technology and the Android operating system. If you want to buy an iPhone, something like the iPhone SE is currently available from £239 unlocked. A SIM-free smartphone can be combined with a SIM-only deal (including Pay Monthly SIM cards and Pay As You Go bundles). For instance, you can insert an ASDA Mobile SIM card into your kid’s unlocked smartphone to benefit from low-cost bundle offers. Once you’ve chosen the right mobile phone for your kids, it’s worth thinking about mobile phone price plans and how you want to pay for your usage. You’ll essentially have two options for your unlocked mobile phone: using a Pay Monthly SIM card or a Pay As You Go bundle. Both of these will give you a monthly allowance of minutes, texts and mobile data to use on the phone. An ongoing contract where you pay for your usage each month using Direct Debit. Flexible one-month bundles with no need for a credit check & the ability to top-up as required. Less flexibility as you’re tied in to the same price plan and usage dates every month. Extra fees may apply for going over your agreed usage. More flexibility to change your bundles as required (e.g. for more or less data, or pausing before your next bundle starts). Some ability to restrict spending on your account (e.g. capping) but you’ll need to keep a close eye on the bill. Better spend control as you can only spend money that’s been topped up onto your account. The payment will be taken automatically every month from your bank account using Direct Debit. You’ll need to manually top-up your account, or you can use a recurring top-up feature. You’ll need to undergo a credit check. No credit check & no contracts to sign. 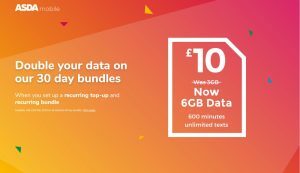 Double data is available on ASDA Mobile bundles until the 23rd May 2019. At present, ASDA Mobile is our recommended network for parents giving a SIM card to their children. This is because they offer flexible one-month bundles without the need for a credit check and as a parent, you’ll have full control over how much can be spent on the account. To benefit from the double data allowance, you should order and activate a free ASDA Mobile SIM card before the 23rd May 2019. 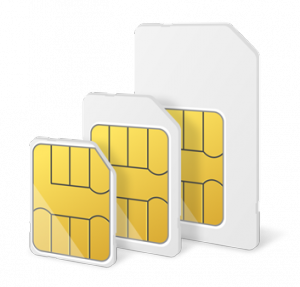 When the SIM card arrives, set up a recurring top-up and recurring bundle on the SIM card. You’ll still retain full control over spending on the account as it isn’t possible to run up extra charges not covered by your balance. You’ll also receive a text message notification before the payment is taken for your bundle each month. To start with, we’d probably recommend choosing the £10 bundle with 6GB of data. In future months, you can easily change this to a cheaper or to a more expensive bundle depending on how much mobile data your kids actually use on their device. It isn’t possible for children who are under-18 to take out a Pay Monthly contract in their own name. This is because they’re unable to pass the credit check that is required to get one. For this reason, it’s recommended that you choose a Pay As You Go bundle (if you decide to go down the Pay Monthly route, you’ll need to take out the contract and to a undergo a credit check in your own name). 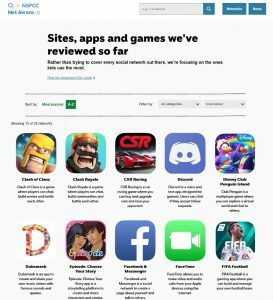 The NetAware website reviews apps and games from the perspective of online safety. Once you have your new mobile phone and price plan set up, it’s worth sitting down with your kids to discuss online safety and security. 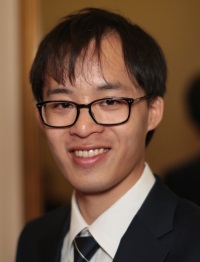 This is particularly important given the popularity of social media applications, and how easy it is to accidentally share personal information online (including photos, videos, a home address or phone number). The NSPCC’s NetAware website provides a free online guide that can help you to make a more informed choice about the apps and games your children can access. 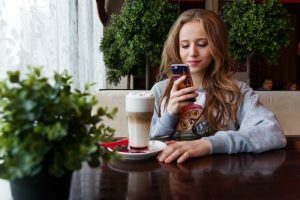 The guide gives a suggestion on the minimum age rating for popular apps along with an overview of the key risk factors to consider. There is also feedback from other parents and children about the application and their experiences with it. Once you’ve decided which applications your kids should be able to access, it could be worth setting up parental controls on your device. On the iPhone, this can be done by going to Settings > General > Restrictions. Meanwhile, on Android devices, open the Google Play Store and tap the Menu button followed by Settings > Parental controls. Sometimes, it might be worth looking into special kids-friendly applications for your smartphone. For instance, YouTube have a special version of their application for kids, which is available free of charge both on iPhone and Android. This has a range of carefully selected content for your children along with built-in parental controls so you can decide the types of content they’re able to access. In the UK, all ISPs and mobile phone networks should provide you with the option of enabling parental controls at the network-level. This will provide some additional filtering on which websites can be accessed through the phone. For instance, if your children have an ASDA Mobile SIM card, you could consider enabling the strict internet restriction setting on their SIM card. This will block all content with a higher-than-PG rating “including unmoderated social networking sites, chat and dating sites”. You’ll need to enable network-level controls separately with every ISP and mobile network you use (including with your home broadband provider and with public wi-fi hotspots). As well as making sure your children remain safe online, it’s important to retain a balanced amount of mobile phone usage. For this reason, think about how long they should be able to use their phone for each day. You might want to keep mobile phone usage under a certain amount of time each day to prevent addiction. Alternatively, you might want to disable phone usage during parts of the day to reduce distraction (e.g. during meal times, bed time and allocated homework time). 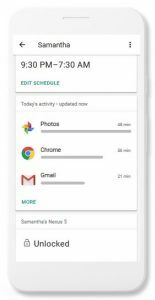 Google’s Family Link application for iPhone and Android is one of the best ways of managing this for your children. With the app, you’ll be able to set a schedule for when the phone can be used each day. As a parent, you’ll see a report on how long different applications have been used for on the phone. You’ll then be able to set time limits on usage, either on an app-by-app basis or for the entire device. Apple also provides Screen Time functionality on devices running iOS 12 or later. This can also be used to set limits on how long an iPhone can be used for each day. Use a gift card to buy apps and games to avoid adding your card details directly onto the device. It’s likely you’ll want to load up some new apps and games once you’ve given a smartphone to your kids. When buying something from iTunes or the Google Play Store, you’ll be given a number of different possible payment options. We’d recommend against adding your card details directly onto your children’s smartphone. If you do this, it might be possible for them to accidentally authorise additional payments on your card (including in-game purchases like virtual coins and items). Where possible, consider adding a pre-paid App Store or Google Play voucher to the account instead. 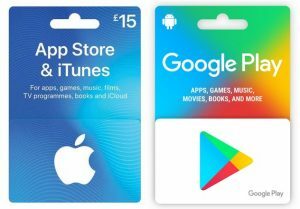 These pre-paid vouchers can easily be purchased from your local supermarket and can be used for app and game purchases without the need to add credit card information. For more information about online safety when using a smartphones, please see the NSPCC website. Our recommended mobile network when giving a SIM card to your children is currently ASDA Mobile who are offering double data until the 23rd May 2019. We found parentshield when looking for a sim only plan for our daughter. It says on the website that there are features built into the SIM card that are specifically made for children, and are not available anywhere else – and boy there really are!! Every parent worried about giving their child a mobile phone should try it! 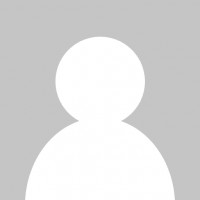 We use ParentShield as well and it is really good. There is nothing else like it. One important consideration in the choice of handset is how robust it is. Look for Gorilla Glass and a strong body. A case is a good idea too.